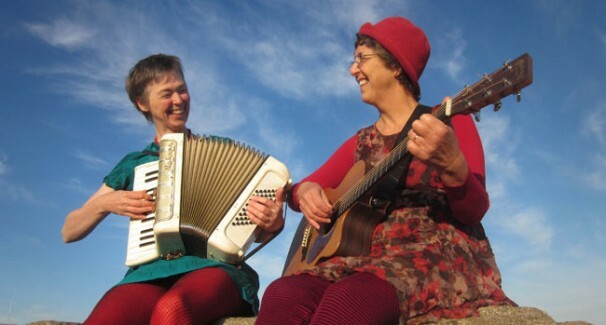 Songs with Legs is the creative combination of the skills and gifts of two much-loved folk singers, Fay White and Jane Thompson. Both possess a passion for songs with heart, mind and soul; for lyrics that tell the story of life as it is; songs that are poignant, funny, wise, ironic and moving. They accompany their songs with a captivating combination of guitar, accordion, flute, tin whistle, ukulele and percussion, and yarn-spinning. Fay and Jane bring a subtlety of interpretation to their songs, a singularly ‘womanly’ perspective and the kind of depth and heart that only comes with maturity. As such they are a rare and precious addition to the community of Australian musicians.